On behalf of Tom Collier and West Seattle High School Alumni Association, thank you for your support! 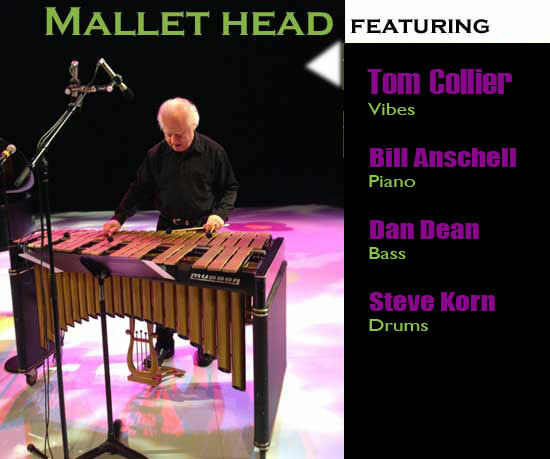 TOM COLLIER invites the community to Kenyon Hall in West Seattle on Saturday, October 27th for a Special Mallet Head concert featuring his quartet, him on vibes, pianist Bill Anschell, bassist Dan Dean, and drummer Steve Korn. 100% of proceeds from this concert will go to the West Seattle High School Scholarship Fund. Please come out and support our future doctors, engineers, scientists, authors, artists, and musicians who happen to attend one of the country’s great high schools! Simply email kenyonhall@earthlink.net to reserve your $20 general admission ticket, or check out http://www.kenyonhall.org for more information. Tom Collier is a multi-instrumental percussionist and vibraphonist, with a career in music spanning more than fifty years. He has performed and recorded as a session musician with many important jazz, classical, and popular artists. He has also performed and recorded with his own jazz group and has released solo albums. He is a proud graduate of West Seattle High School and joined the faculty at the University of Washington in 1980. For more info, check out Tom’s website at http://www.tomcolliervibes.com .